For security reasons, Fastly limits the number of times someone can try logging in to an account. We don't want to give people unlimited attempts at guessing your password, so we stop them from trying after a limited number of failed attempts to sign in. You can change your password at any time when you're logged in to your account. I am not using two-factor authentication. How can I access my account? Point any standard web browser to the Fastly login page. The login controls appear. Click the Forgot Password button underneath the password field. The Reset your password page appears. In the Email (login) field, type the email address you normally use to log in to your Fastly account, and then click the Reset button. Password reset instructions will be emailed to you. Click on the password reset link in the emailed instructions that the system sends you. The Reset Your Password page appears. Click the Reset Password button. The system sends you a temporary password to the email address you supplied. Using the temporary password you receive, log in to your account. The controls to create a new password appear. In the Current Password field, type the temporary password that the system emailed to you when you requested a password reset. In the New Password field, type a new password to replace the temporary password you were sent. In the Confirm Password field, type the new password a second time to confirm it. Click the Change Password button. The system changes your password and logs you into your account. I am using two-factor authentication. How can I access my account? I don't have my mobile device. If you do not have access to your mobile device, you can complete the login process using one of your recovery codes. These were the recovery codes you saved in a secured location outside of your Fastly account when two-factor authentication was first enabled. You can continue to use your recovery codes until your device is once again accessible. Recovery codes can only be used once, however, so remember to regenerate a new set to avoid running out before you recover your mobile device. If you don't believe you will be able to recover your lost mobile device and you still have at least two recovery codes left, you can log in with one recovery code and disable two-factor authentication with a second code. Once two-factor authentication is disabled, you can re-enable it with a new mobile device at a later time and regenerate a new set of codes. I don't have my mobile device and I don't have my recovery codes. If you don't have your mobile device and didn't save any recovery codes, have another user at your company with the superuser role contact Customer Support at support@fastly.com. Have them inform Customer Support which user needs assistance with their login. After Customer Support verifies that the request is from a superuser, we will provide them with your recovery code. The superuser will then send you this information and reset your password so that you can access your account. I don't have my phone, I didn't save my recovery codes, and I am the only superuser for the account. Contact Customer Support at support@fastly.com. We will verify that you are associated with the company by phone. We will use the contact information located on the company website or under the Fastly account tab. Upon verification, we will send you a recovery code and reset your password. If a user's account appears to be hacked or phished, we may proactively reset the passwords for the affected accounts to revoke access to the hacker. In these cases, we send an email to the account's real owner (you) with additional information on how to reset the password. If you received one of these emails, follow the instructions in the email. 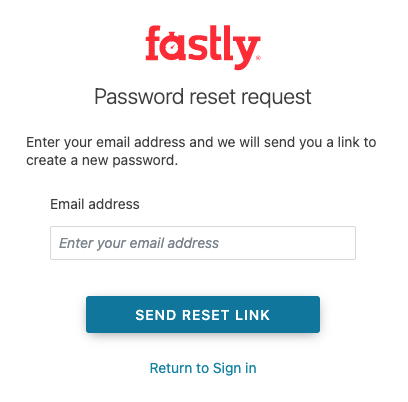 If you think your account has been hacked or phished, contact Customer Support at support@fastly.com immediately. How is a locked account different from a blocked account? 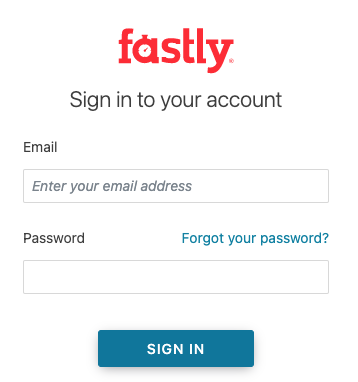 Fastly allows you to restrict who can access your Fastly account based on the IP address of the person attempting to log in. This means that even with the correct login name and password, access to your Fastly account may be blocked if the IP doesn't match your company's list of allowed addresses. If your company enables this optional IP allowlisting, they must keep the list of restricted IP addresses up to date. Only users with the role of superuser can make changes to the IP allowlist settings (your account owner is always a superuser), and your account owner must have a valid telephone number on file to do so. If your IP addresses change after allowlisting is enabled and you forget to update your allowlist configuration, you will be locked out of your account. You will need to contact support@fastly.com to request that a Customer Support representative contact your account's owner via telephone during Fastly's regular business hours. To protect your account's security, we will not unlock your account based on an email request alone.